If the aliens really are landing, this latest picture seems to confirm that their first port of call on Earth will be Russia. After other claims of extraterrestrial life turning up in Siberia, the latest is from a Russian woman who says she kept a frozen alien corpse in her fridge. 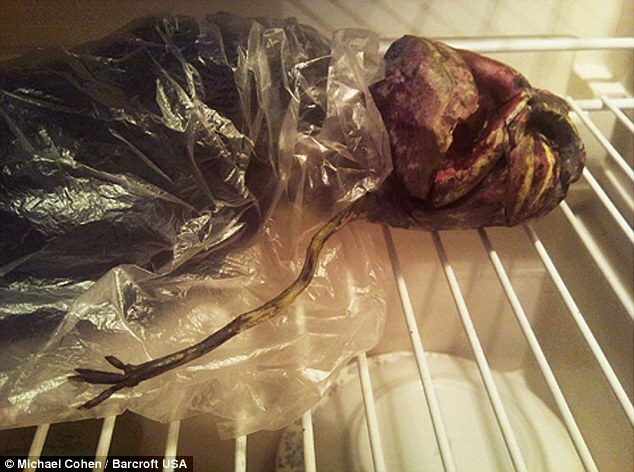 The mysterious 'lifeform' was reportedly kept by Marta Yegorovnam in her fridge in the western Russian city of Petrozavodsk for two years, while she took five pictures to prove its existence. The 'body', the third alien sighting in Russian in recent months, was reportedly retrieved by Miss Yegorovnam from a UFO crash site near her summer house in 2009. She says she approached the flaming wreckage and crumpled metal which she described as 'unbearably hot' and near the twisted hulk lay the dead alien. The 'creature' is two feet long, has an enormous head, large bulbous eyes and an appearance somewhere between a fish and a humanoid. It also appears to have what looks like a string-like arm protruding from its body. Naturally, Miss Yegorovnam did what most would in the same situation and stored the alien in her fridge for two years, according to Unexplained Mysteries. The website reported that two men turned up at her home a few days ago and confiscated the corpse for investigative purposes, claiming to be from the Karelian Research Center of the Russian Academy of Sciences. The footage was unearthed by noted paranormal writer and expert Michael Cohen. Mr Cohen, 40, said: 'This could be an elaborate hoax, however the possibility that this might be a genuine alien should not be discounted. 'Russia is a hotbed of UFO activity and possible alien craft has been tracked by both military and civilian agencies. This latest claim from Russia comes after footage filmed in August in the remote Irkutsk region of Siberia appeared to show a strange glowing craft and five aliens walking about in the snow. In April, two students who claimed to have recovered a body from a UFO crash site admitted that the creature was in fact made out of bread. 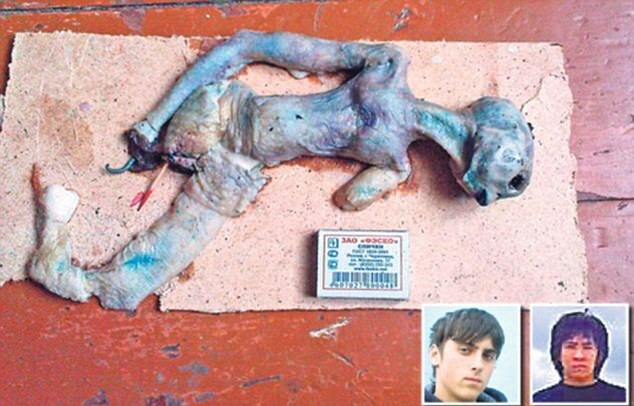 Timur Hilall, 18, and Kirill Vlasov, 19, shot the video that showed the alien's mangled remains frozen in snow, also in Irkutsk, Siberia. Their find was deemed serious enough for the Kremlin to get involved and a spokesman from the Russian interior ministry confirmed the hoax. It looks like Gonc to me, but then my eyesight isn't quite as good as it was.